The Fianna Fáil TD has proposed that a basic income replace all current state supports. WILLIE O’DEA HAS said a major overhaul of the social welfare system and the introduction of a basic income would not involve any tax increases. The Fianna Fáil TD recently proposed that a commission be set up to examine the possibility of overhauling the State’s social welfare system and introduce a basic income for every citizen in the country as a way of tackling poverty. Instead of tax credits, tax allowances, tax bands and the array of current social welfare payments, everyone in the State would be given a basic income, which would include supports such as child benefit. If the figure for tax on earned income will be X amount then you can pay Y by way of basic income. If it’s X+ you can pay Y+, you know. The former cabinet minister said a commission, which would be set up within six months of Fianna Fáil entering government, would have to “run the numbers”. There’s a government green paper on it dating back about 9 or 10 years. They concluded that such a thing is feasible. What we’re proposing is we set up a commission who sort of run the numbers and give us the options within six months. O’Dea said that the State is already paying out “a huge amount of money” on social welfare, tax allowance and tax credits and insisted that a basic income structure would not necessarily involve any tax increases as research has suggested. He said: “In advance of the figure I’d be pretty confident that you take that sum of money together, you wouldn’t necessarily need to increase tax. You wouldn’t reduce the disposal income people have as a result of working now. Read: What if we abolished welfare and gave everyone a basic income? Column: Should every citizen receive an unconditional basic income? Email “Willie O'Dea told us about his radical plan to abolish all social welfare ”. 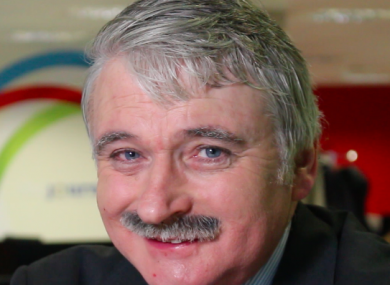 Feedback on “Willie O'Dea told us about his radical plan to abolish all social welfare ”.